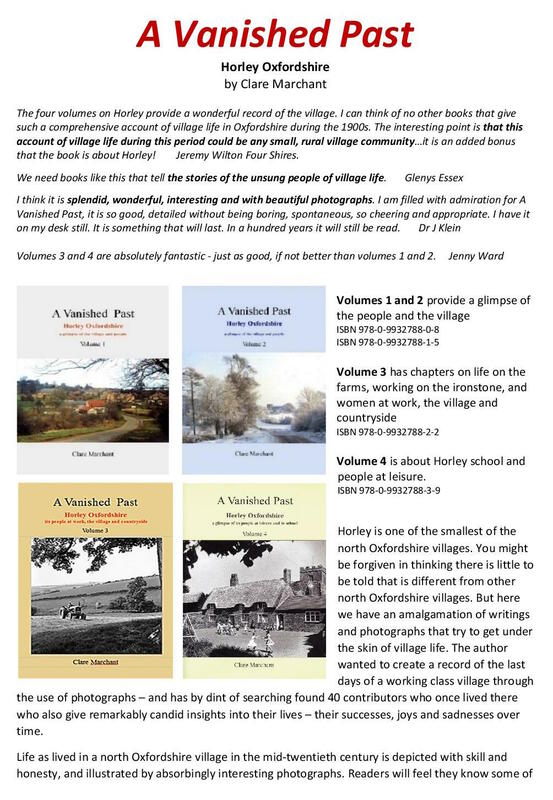 ‘A Vanished Past’ by Clare Marchant currently comprises 4 volumes describing various aspects of village life in Horley throughout the 20th century. 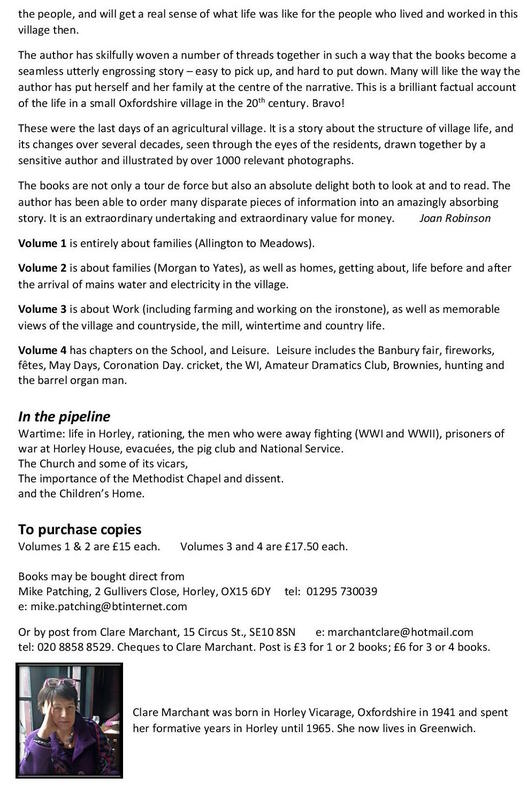 For more information about these books and how to purchase them, see below. This entry was posted in Modern History and tagged A Vanished Past, Clare Marchant, Horley, The Vicarage on November 18, 2017 by thehorleyviews.